The propagation path of the ultrasonic waves is called a channel. 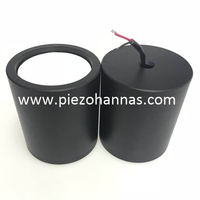 The additive noise of the channel is mainly determined by the undulating noise, ultrasonic transducers sensor in turn can be regarded as Gaussian white noise. Since additive noise is considered to only affect the reception of the signal, the anti-interference ability of the modulation system mainly depends on the anti-interference ability of the demodulator. Usually, the system's input-to-output SNR is used to measure the system's immunity to interference. A model for analyzing the performance of the demodulator is given. The modulated signal at the input of the model (ie, the double-sided DSB echo signal amplified by the ultrasonic receiving circuit), the channel is represented by an adder, and the amplified additive is high, thus it can be seen that for the DSB modulation system, the processing gain is The 2, DSB signal demodulator doubles the signal-to-noise ratio of the system. This is because the synchronous demodulator causes one orthogonal component of the input noise to be cancelled. Therefore, the use of appropriate modulation and demodulation techniques helps to improve the output signal-to-noise ratio of the ultrasonic fuel level transducer. A square demodulation algorithm combined with envelope demodulation and digital filtering is used to achieve the same processing gain as the synchronous demodulator. The ultrasonic ranging experiment system is composed of a PC, a data acquisition and control board, an ultrasonic transducer and its transmitting/receiving circuit. With this system, an ultrasonic ranging experiment suitable for a low sampling rate is performed. Experiments show that the proposed ranging algorithm can be realized by ordinary single-chip microcomputer system to form a large-range ultrasonic range finder with high cost performance. In the system, useful information is the envelope of the ultrasound receiving and transmitting signals. 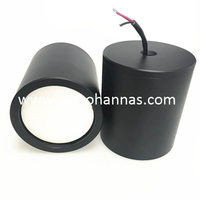 Since the frequency response characteristics of the ultrasonic sensor for fuel tank has a certain influence on the spectrum of the envelope signal, it is not very large. According to the Shannon sampling theorem, as long as the sampling rate is higher than twice the transducer passband signal, the envelope of the original signal can be recovered. For non-combined transducers, the bandwidth is approximately 4 kHz and the sampling frequency should be higher than 8 kHz; for combined transducers, the transmit band is 4 kHz and the receive band is 7 kHz, and the sampling frequency should be higher than 14 kHz. Of course, the higher the sampling frequency, the higher is the resolution of the time axis, and the higher the accuracy of the ranging, but the amount of data processing is correspondingly increased. 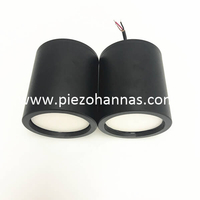 Therefore, it is necessary to use a suitable ultrasonic transducer to emit a set of durations of about 2. 7ms to the roof (target) according to actual needs (the corresponding blind zone is 0. 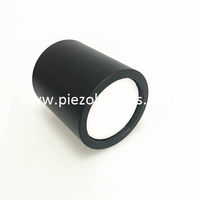 459m, and the ultrasonic flowmeter transducer receives multiple times. The wave signal, the interference and the small echo signal 5 are "submerged" after the relevant processing. The calculation is performed according to the algorithm described above. Experiments show that when the relative position of the car and the ultrasonic distance measuring sensor is 15-20m, the sensor can detect the echo signal reflected from the target. When is measuring, the speed of the vehicle is controlled within the range of 20-50km/hr; the distance between the trolleys is measured twice in succession, and the time interval between the two measurements is divided to calculate the driving speed of the vehicle. 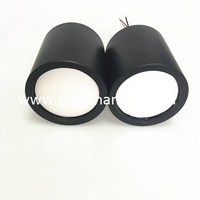 The main purpose of the speed measurement is to verify that the ultrasonic ranging system has the function of detecting moving targets, instead of calibrating the ranging system, so the extreme speed is not used for testing. In fact, in order to accurately measure the speed, the ultrasonic transducer must be mounted on the motion platform to perform a measurement experiment on the fixed target. faster car has the greater the speed measurement error. The main reason is that the time taken by the ranging algorithm is too long, and the resolution of the vehicle speedometer is not high, and the data of the manual reading table is not accurate. Therefore, it is necessary to develop experimental devices suitable for testing moving targets and to study corresponding fast ranging algorithms.